Daily Debate: Which Companion Character from Zelda Would You Want to Have at Your Side? Companion characters: sometimes, we love them for their guidance and their helping hands. Sometimes, they annoy us, and we can’t help but wonder if they are more trouble than they’re worth. But there is no denying that, when we need them most, they’ve got our backs – sometimes, we can’t just walk alone. Not even if we’re heroes. Not even if we’re Link. The hero of Hyrule has always carried his burdens without hesitation, but there have been several times when he hasn’t done it by himself. In fact, a wide variety of personalities have been known to guide him on his journey, providing him with the help he needed most. From something as simple as tips and quest reminders, to straight up being our co-op buddy in solving dungeon puzzles, each of Link’s companions lifted him up in ways he couldn’t do on his own. 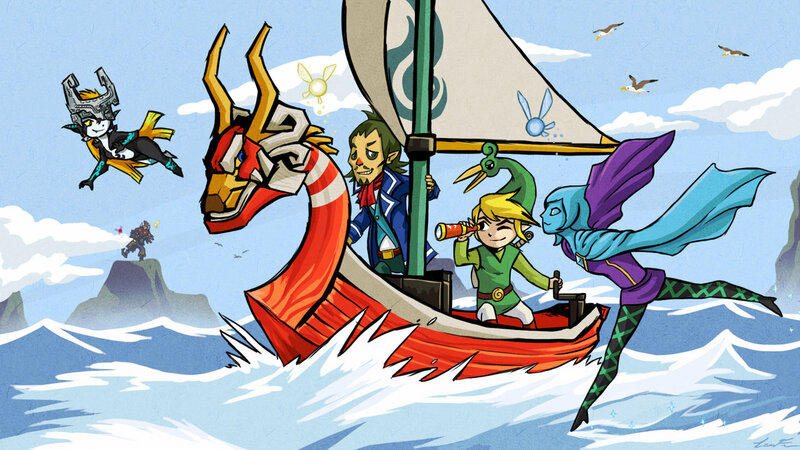 Now, what if you could pick one of Link’s companions to join you in your own journey through life? Would you want Navi, to help remind you of simple daily things, like to eat your veggies, or where you put your wallet? Or Midna, who could be a witty friend who’s always there, even when you’re not quite feeling like yourself? Maybe you’d prefer Phantom Zelda, extremely useful in pulling ghostly pranks or lifting you to that top shelf that you normally couldn’t reach on your own? Ezlo? Fi? Tatl? They’re your companion now. Who would you choose? Let us know in the comments below! Featured image, “Link’s Companions,” by Dargonite.